Hey there oily dudes of oilness… Over the past few months I have discussed many types of essential oils, their uses and whether are they are actually any good or not. And, although I try to mansperiment with as many of the things I talk about as possible, there are many ideas, recipes and oils that I have discussed that I simply haven’t had the time, or the oils to fully experience them all. In these cases I am obviously just providing options for you to try rather than speaking from experience. Oh, and thanks to my amazing wife for her assistance to my question “So, what oils do I actually use on a day to day basis?”. Again, I offer no rhyme nor reason for the outcomes of my use of these oils – it simply is what it is. What do I use daily? What do I use less regularly? all time essential oil. I mean, I LOVE this stuff. I sniff it when I am stressed, I diffuse it when I am working at home, I drip it on my shirt collar when I want the scent to linger just a little longer and I use it with coconut oil to shave with. I mean, this oil is the best!! What does it do for me: It calms me. I sniff it straight from the bottle and it calms me. I mean I really don’t have a lot to stress about in my life but when things get a little strained, I simply grab it and sniff it. 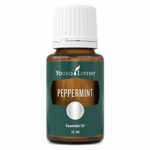 It is one of the few oils where I genuinely love the smell so I use it whenever I can. leg cramps quite often due to some childhood operations. My wife rubbed it onto my muscles when they were cramping and I have done it ever since. What does it do for me: The cramps stop. In the past I would have taken paracetamol but now I don’t have to. I simply mix three or four drops with a tiny bit (about half a teaspoon in my hand – just enough for one application) of coconut oil and rub it onto the crampy bit. The cramps are usually gone in about 5 minutes. would be if I had one) after my shower. Honestly, she chases me around the house with this stuff. What does it do for me: I commented to my wife recently that I felt that I had been sleeping better. Her answer “Frankincense baby”. I had not put two and two together but I guess it is working. She reckons that I am sleeping a lot stiller – meaning I am not bouncing all over the bed keeping her awake. For my skin – the parts where she puts it used to get itchy when I was in the sun a lot – I only really thought about it when as I was writing this and to be honest, had forgotten that that used to happen. Flies, Midges – why do we live here again? Anyway… a single drop on the old bitey area. Note: We sometimes use Frankincense for this also. What does it do for me: It stops me itching. The best thing I have noticed however is I usually start itching again a few days later. Another drop and all gone! We use it a lot on our son for the same reason. His skin reacts a lot worse than mine to these bites – especially the midges – and he scratched until he bleeds. Some in the past have even turned into Staph infections requiring a doctors visit and anti-biotics. Since we have been using this – no more issues for him. Smells like oranges to me which is weird as orange is not one of the oils in the blend. What I use it for: Sleep, we use it to get our kid to sleep. What does it do for me: Like most kids, our little boy comes home from school totally worn out and over tired. To help him get some decent sleep each night – he has never been the best sleeper – we rub a couple of drops of Lavender onto his feet about 20 mintues before bed during ‘wind down’ time. I swear that since we have been doing that, there has been a noticeable improvement in his sleep patterns and abilities to handle the day. 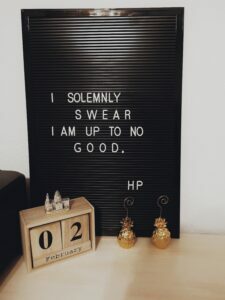 I get this rolled onto my feet also if the Frankincense is not around. similar nature as I am not getting any younger and, having had to give up many of my sporting pursuitsin the past few years I find myself in the gym, pool and Pilates studio more and more. I use this one (80% carrier and 20% oil) on my shoulder when the tendinitis flares up. What does it do for me: I was really skeptical about this one when Nic purchased it (with this use in mind of course). And whilst it certainly takes a little longer than the Deep Heat to really get in there, I have to again admit that it does relieve my shoulder pain. 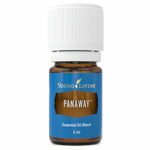 I will add at this stage that if I am going swimming I add my Panaway and Peppermint concoction (see below) to my shoulder beforehand so that may be part of the improvement also – but who really cares? It seems to be working for me. Oh, and do not ever add this one to your skin without a carrier oil – trust me, I made that mistake once! What I use it for: I have included these two together as I use them together on most days when I am partaking in any sporting activity. I rub a mixture of 5 – 8 drops of each to 10ml of carrier oil onto my ankle joints before and after. What does it do for me: This is another that took me by surprise. I used to hobble for days after a 4km walk, but now the pain is minimal – it is still there slightly as I was born with club feet so it is a lifelong ailment, but it has certainly improved the resulting symptoms out of sight. What I use it for: If I am really tired but have some laptop work I really need to get done, I take a whiff of this one. What I use it for: I took this with me when I flew to the U.S. late last year. What does it do for me: I suffer chronic jetlag. Whenever I felt the ‘haze’ whilst I was over there, I rolled this onto my wrists, neck and temple – really did seem to ease the hazey tiredness for me. I now sometimes throw it onto my wrists and temples when I am tired and about to walk out the door – seems to work a bit. What I use it for: I use this if I have been on my feet all day and my ankle joints get sore when I finally sit down at night. What does it do for me: The sore ankle joints are a residue from the club feet. I rub this into them when I am lying down. Again, not as deep as a Deep Heat type cream, but certainly does give some relief. 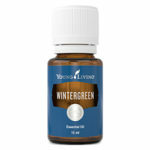 I can use wintergreen for this also, but we made this one up before I purchased it and it is already made up and it works so I just keep using it. 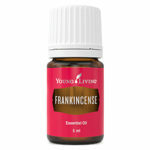 What I use it for: If I am working on the laptop at home all day and just want a different aroma about the place, I add the above to the diffuser. What does it do for me: I tried this one when writing my post on manly diffuser recipes and it just stuck with me. If I put it in the diffuser it seems to help me focus – I love the aroma – simple as that. What does it do for me: We rub this on his wrists and the bottom of his feet and tell him to breath. He usually calms immediately – He even comes and asks for it if he feels himself getting stressed – which is usually when there are a thousand people in the house. Nicole’s Hangover Cure (2 drops of Lemon, Lavender and Peppermint with one 1 tablespoon of Coconut Oil. What I use it for: When I have over indulged (which luckily for me is not too often). What does it do for me: I did this out of necessity for my hangover mansperiment and rub in onto my wrists, temple and stomach. I admit I thought it was a once off success when I used it as anything that day was better than nothing but I have used it since and it really does seem to take the edge off – If only it would stop the next day beer breath that my wife loves so much! What did I use it for? : I was working on a mansperiment (that I am still trying to get right) on killing weeds in the garden. 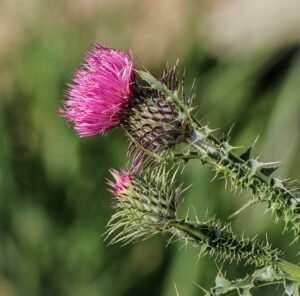 I was told that Clove essential oil was good for killing weeds – which was backed up by some research I did. What did it do? : It worked… as a fertiliser… I mean these weeds doubled in size in about 2 days. Good fodder for another mansperiment, but useless in this case. What did I use it for? : Same mansperiment on killing weeds in the garden. It has clove and cinnamon in it so thought why not? What did it do? : Oh it killed the weed… and all the grass in a 2 foot radius. It may have been the vinegar with it – I tried with water and vinegar but I haven’t been game to use it since. I guess it was a success. What did I use it for? : Used it with water to try and kill mould. What did it do? : Nothing. What did it do? : It made us want to wish that Sunday never existed! – It is horrendous – don’t do it to yourselves! Note: All prices listed are in Australian Dollars ($AUD) – To see prices for other areas, select the relevant country flag at the top of the page. If you make a purchase from this page, there is a very good chance that I make a commission from it – these commissions do not increase your sales price. I like all the oil here and I think they are just perfect in their own ways. They are perfect for specific uses and according to what your need be for purchasing the oil. I think when an oil can handle certain things like body or leg cramp I think that oil has a way of penetrating the bone marrows and bringing out the best experience for itself. 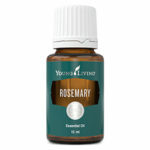 I have read this product review article with lot’s of information about the essential oils. I would not learn so much information about it if I did not read your article thoroughly. I like Lavender most and I think it will be useful for my kid’s sleeping properly since they don’t want to sleep in time which is painful for us. I am going to share this article with my family and I believe they will also like these products. Thanks for sharing this helpful reviews. 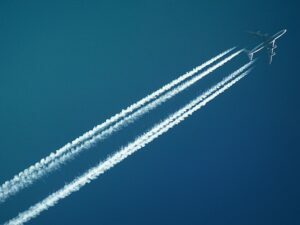 I travel often and after having tried all possible remedies for jet lag that I could come across over the past 20 years, I am naturally sceptical about any new proposals. However, I’ll be trying your Cedarwood, Lavender and Grapeseed concoction when I fly next. Will keep you posted what my experience was. Thanks for an informative article! 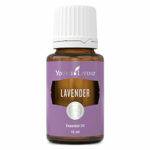 Hi Arie, watch this space as I have just started a post on essential oils for travel. Let me know how you go with the Jetlag recipe. Hi Paul – Oils, huh? Never really thought about it. My wife has containers full of magic potions laying about, most probably to keep me at a distance! I do, however, enjoy various scents. I see you have quite a collection. What would you recommend for general use, a scent that might quietly permeate the home? And is there something you would recommend for creaky joints? Hey Mike, I love all of the ‘Woodsey’ type oils such as Northern Lights Black Spruce or Idaho Balsam Fir. The Cirtus ones will also make the home smell quite good. Check this out for some more ideas 10 Manly Essential Oil Scent Recipes for the Diffuser. For creaky joints go for the Panaway, Wintergreen or Copaiba with a carrier oil. Thanks for stopping by and let me know how you go. 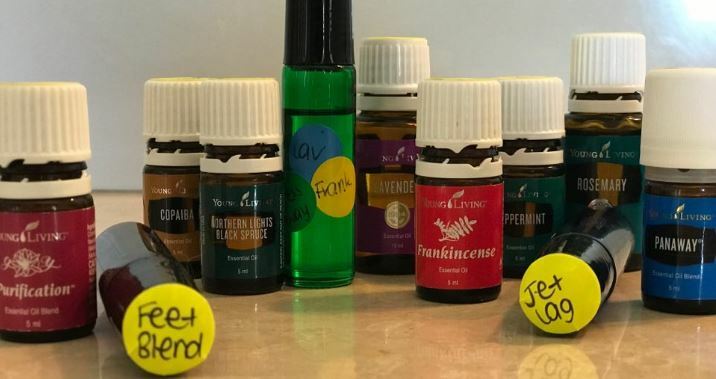 Here in this post are tons of essential oil to select from and that really is amazing, I was previously stuck with just one type of oil. Personally i think it is good to explore all kind of oils as far as you have the information on each of them, which you have done here already, would be looking forward to the updates. Will certianly keep you posted.